Five years ago Japanese women's rights advocates won their battle to legalize the birth control pill. Now they are waging an even tougher fight - getting women to use it. "I don't know anyone who is on the pill among my friends, and we don't really talk about it," said Junko Okihiro, 24, a software company engineer. Okihiro and her friends are the vast majority in Japan. About 370,000 Japanese women use the pill, according to estimates, only 1.3 percent of the 28 million Japanese females between 15 and 49 years old, compared with 15.6 percent in the United States, according to the United Nations. The failure to establish the pill's usage since it was legalized in June 1999 - four decades after it became available in the West - surprises its advocates, who stress that it is safe and more effective than the alternatives. "The idea that contraception is a women's responsibility isn't widespread in Japan," said Kunio Kitamura, a gynecologist and director of the Tokyo-based Japan Family Planning Association. The pill appears to turn off many women here. Close to 70 percent of the women who responded to a poll by Japan's Health Ministry three years after the pill was legalized said they would never use the pill. Only about 20 percent said they would be willing to try it. 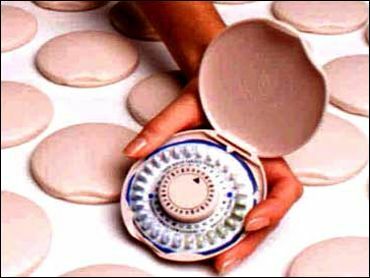 Experts say part of the reason is that the pill is a prescription drug and therefore can't be advertised. They say other factors are simple conservatism, vague concerns about possible side effects and an unwillingness to enter into a daily pill-taking regime. Yuriko Marumoto, a Tokyo gynecologist, said the level of understanding regarding the pill remains too low, but is improving. She also said the social stigma and misconceptions, such as that the pill causes weight gain or infertility, are gradually fading. "The number of women who decide to go on the pill has been growing," she said. "Good reviews of the drug are spreading by word of mouth, because most pill users like it once they experience it." Most women, however, still appear to be content with other contraceptives. Condoms account for about 80 percent of the birth control market; the rhythm method and spermicidal jelly are the next most popular means. Not all experts see a problem. Teenage pregnancies are relatively low, and abortions have been steadily decreasing - from 460,000 in 1990 to 330,000 in 2002, according to Kaori Ichikawa, a spokeswoman at the Maternal and Child Health division of the Ministry of Health, Labor and Welfare. "Women are now able to assert their rights to men to a considerable degree, like asking men to use condoms," she said. The prevalence of condom use also helps keep down the spread of sexually transmitted diseases, particularly AIDS, experts say. "If more people start to go on the pill in Japan, we will definitely have more HIV-positive patients," said Takuya Togawa, of the disease control division of the Health Ministry. "With the number of the pill users in Japan still low, we are not urgently worried about the outbreak of HIV. We don't regard HIV as something like SARS or bird flu that demands our immediate attention." Contraception awareness programs have also been put on a back burner as the government - facing increasing fiscal difficulties with a rapidly aging society - tries to persuade couples to have more babies. On average, women here have fewer than two children, meaning Japan's population - and pool of taxpayers - is shrinking. For Okihiro, who is single, the pill just doesn't make much sense. "I don't have a steady partner, so I don't need to be on the pill," she explains. "Besides, the pill can't protect me from sexually transmitted diseases, right?"